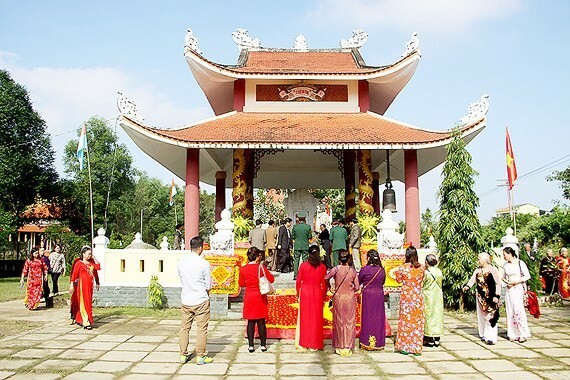 The memorial temple for Vietnamese President Ho Chi Minh and late General Vo Nguyen Giap has just been inaugurated in the central province of Quang Tri. The construction is located inside the memorial sites of President Ho Chi Minh, General Vo Nguyen Giap and heroic martyrs with an area of nearly 5,000 square meter in Hai Son commune of Hai Lang district. The project capital was estimated at VND 15 billion contributed by veterans of the Division 304 and mobilized from the local capital.